It’s natural to want children and graduates to develop a set of all-purpose cognitive tools with which to navigate their way through the world. But can such things be taught? Carl Hendrick argues that general critical thinking skills cannot be so easily transferred from one context to another. Being an air-traffic controller is not easy. At the heart of the job is a cognitive ability called “situational awareness” that involves “the continuous extraction of environmental information [and the] integration of this information with prior knowledge to form a coherent mental picture”. Vast amounts of fluid information must be held in the mind and, under extreme pressure, life-or-death decisions are made across rotating 24-hour work schedules. So stressful and mentally demanding is the job that, in most countries, air-traffic controllers are eligible for early retirement. In the United States, they must retire at 56 without exception. In the 1960s, an interesting series of experiments was done on air-traffic controllers’ mental capacities. Researchers wanted to explore if they had a general enhanced ability to “keep track of a number of things at once” and whether that skill could be applied to other situations. After observing them at their work, researchers gave the air-traffic controllers a set of generic memory-based tasks with shapes and colours. The extraordinary thing was that, when tested on these skills outside their own area of expertise, the air-traffic controllers did no better than anyone else. Their remarkably sophisticated cognitive abilities did not translate beyond their professional area. Since the early 1980s, however, schools have become ever more captivated by the idea that students must learn a set of generalised thinking skills to flourish in the contemporary world – and especially in the contemporary job market. Variously called “21st-century learning skills” or “critical thinking”, the aim is to equip students with a set of general problem-solving approaches that can be applied to any given domain; these are lauded by business leaders as an essential set of dispositions for the 21st century. Naturally, we want children and graduates to have a set of all-purpose cognitive tools with which to navigate their way through the world. It’s a shame, then, that we’ve failed to apply any critical thinking to the question of whether any such thing can be taught. 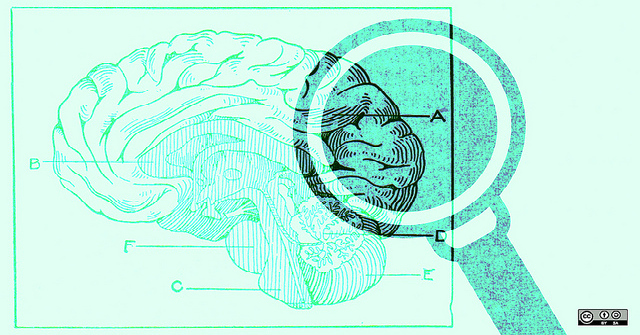 Image credit: Prolegomena to an evidence-based policy for software patents by opensource.com. This work is licensed under a CC BY-SA 2.0 license. As the 1960s studies on air-traffic controllers suggested, to be good in a specific domain you need to know a lot about it: it’s not easy to translate those skills to other areas. This is even more so with the kinds of complex and specialised knowledge that accompanies much professional expertise: as later studies found, the more complex the domain, the more important domain-specific knowledge. This non-translatability of cognitive skill is well-established in psychological research and has been replicated many times. Other studies, for example, have shown that the ability to remember long strings of digits doesn’t transfer to the ability to remember long strings of letters. Surely we’re not surprised to hear this, for we all know people who are “clever” in their professional lives yet who often seem to make stupid decisions in their personal lives. In almost every arena, the higher the skill level, the more specific the expertise is likely to become. In a football team, for example, there are different “domains” or positions: goalkeeper, defender, attacker. Within those, there are further categories: centre-back, full-back, attacking midfielder, holding midfielder, attacking player. Now, it might be fine for a bunch of amateurs, playing a friendly game, to move positions. But, at a professional level, if you put a left-back in a striker’s position or a central midfielder in goal, the players would be lost. For them to make excellent, split-second decisions, and to enact robust and effective strategies, they need thousands of specific mental models – and thousands of hours of practice to create those models – all of which are specific and exclusive to a position. The same goes for teaching “dispositions” such as the “growth mindset” (focusing on will and effort as opposed to inherent talent) or “grit” (determination in the face of obstacles). It’s not clear that these dispositions can be taught, and there’s no evidence that teaching them outside a specific subject matter has any effect. Instead of teaching generic critical-thinking skills, we ought to focus on subject-specific critical-thinking skills that seek to broaden a student’s individual subject knowledge and unlock the unique, intricate mysteries of each subject. For example, if a student of literature knows that Mary Shelley’s mother died shortly after Mary was born and that Shelley herself lost a number of children in infancy, that student’s appreciation of Victor Frankenstein’s obsession with creating life from death, and the language used to describe it, is more enhanced than approaching the text without this knowledge. A physics student investigating why two planes behave differently in flight might know how to “think critically” through the scientific method but, without solid knowledge of contingent factors such as outside air temperature and a bank of previous case studies to draw upon, the student will struggle to know which hypothesis to focus on and which variables to discount. As Willingham writes: “Thought processes are intertwined with what is being thought about.” Students need to be given real and significant things from the world to think with and about, if teachers want to influence how they do that thinking. This article originally appeared under a different title at Aeon and has been republished under a CC BY-ND licence. Carl Hendrick is head of learning and research at Wellington College in Berkshire. He is also an English teacher completing a PhD in English education at King’s College London. He lives in London. The author seems to confuse “subject-specific critical-thinking skills” with “knowledge”. The examples used in the article (Mary Shelley and the physics student investigating why two planes behave differently in flight) both essentially illustrate how deeper knowledge on a specific topic can help someone to understand it better (i.e. knowledge leads to better understanding). The need for skills which assists us in making the right decisions or to solve complex problems go beyond just knowing a lot about a subject. There are skills which cross over discipline lines that can be used to challenge current accepted knowledge and break new grounds. Ultimately being curious, evaluating and constructing arguments and asking good questions are some of the basic skills on which one can build a solid foundation for critical thinking and exploring the world in a meaningful way. Those are skills anyone can use to contribute to their field – whether they are a physicist or an artist. I think the argument that critical thinking can be discipline specific is a valid one. However, that does not therefore mean that there is no such thing as general critical thinking. To claim such would be a logical fallacy (affirming a disjunct?). Indeed, application of logic and recognition of logical fallacies are critical thinking skills applicable across disciplines. This is all well and good as regards skills within a wider context of specific occupations or understandings which are referred to. This commentary is not, however, to be confused with “critical systems thinking,” which is inherently contextual. The cognitive limitations of individuals (including self) are addressed by focusing, through inquiry, upon how a choice between established systems thinking approaches (which should indeed be taught) can thus be exercised both critically and systemically within a given real-world context – which is likely to be transdisciplinary. A knowledge of this range of established systems thinking approaches is surely a critical thinking skill which is vital for social learning, cutting across the disciplinary domains of human knowledge and endeavour. It encompasses the important roles of scoping, integration, collaboration and practicality. This is thus less about individual skills training for a wider context within specialised occupations and more about education – drawing forth – in a broader sense of cultivating individual and social capability to address complex inter-related and dynamic challenges of the 21st century. For those who may be interested (within the context of education), the Waters Foundation would be a good start. I fundamentally disagree with this article because it confuses context-specific skill development (like keeping track of a number of objects in a familiar versus unfamiliar setting) with critical thinking, which is about the meta-cognitive use of certain context-independent metaphors and questions. A boundary is a good example of a metaphor. Confronted with a given problem, people can ask what is included in and excluded from the analysis of the problem? What purposes and values give rise to people using those boundaries, and what other purposes and values might suggest different boundaries? How would different boundaries affect the framing of the problem? And what are the implications for potential action for change? This is an example of what Cathy (in a previous reply) called “critical systems thinking”: it is critical because it is about rethinking the assumptions that are flowing into an analysis, and the values that are implied by those assumptions; and it is systemic because a ‘boundary’ is a concept derived from the idea of a system. Other systems ideas that can be deployed in this way include ‘interconnections’ (what is this problem connected to, and where are the possible leverage points in a network of interconnected aspects of the problem? ); ‘perspectives’ (who is framing the problem and are there alternative perspectives on it that we should be accounting for? ); and indeed the idea of a ‘system’ itself (how is the problem emerging from a particular organization of sub issues, and what is the wider systemic context that keeps this problem in place?). These are all metaphors and questions that are transportable across contexts, and are especially useful for stimulating critical thinking when there are problems to be dealt with that require the fundamental unpicking of assumptions. This is a wholy different thing to the kind of skills aquisition that requires training to learn (e.g., tracking aircraft on a screen), and indeed the latter kind of learning can actually contribute to making assumptions invisible, as the parameters of the task need to be taken as given in order for performance to improve. Using the air traffic control example to illustrate, you can increase the number of planes arriving in and leaving an airport, but there is a limit to the amount of improvement in tracking you can squeeze out of air traffic control operatives. There will come a point when the complexity of the task will exceed the capacity of the staff, and accidents will happen. At this point, critical thinking comes in. We need to widen the boundary to look at the air traffic problem more broadly. Do we need to restrict the number of planes using the airport? Is there new technology that could improve the capacity of the staff? Would more staff help? And if we widen the boundary even further and consider different values and perspectives, we might start asking whether the number of planes is environmentally sustainable, given climate change. These are the critical thinking questions. I suppose we can approach any information with skepticism, but is that the same as thinking critically? I would not think so. It seems to make sense that if we do not know enough about a given topic, we will struggle to approach it with the critical thinking head on. When I was an undergraduate and we were encouraged to think critically when reading papers, I always thought “But I don’t know enough about this topic”. It was only with time, and as I read more papers, became more familiar with the topic, I felt “comfortable” and more “confident” to attempt to think critically. This essay is really a quite fraudulent political attempt to misconstrue the concept of critical thinking. It misrepresents the primary reference on which it is based. The singular 1960s study (there were no other studies) was not on air-traffic controllers, and nowhere in that paper does it say that the investigators observed the subjects at work at work as stated by the author. They were a very small group of 8 subjects, all very young (22-27) and relatively inexperienced military “incident observers” i.e. looking specifically for events of military interested. They were in no sense air-traffic controllers of any experience whatsoever, whose job was managing traffic flow at any major airport. I am not sure what the motivation is for these intentional misrepresentations, except that there is a political agenda to undermine the teaching of critical thinking. No-where does the author reference the long and auspicious history of the dialectic and critical discourse originating in greek society and revered by all civilizations since..
I’d like to know how this author defines critical thinking. Some of the examples used make it seem like critical thinking means you are good at something and can do it quickly and at a high level (air traffic controllers, football players at a specific position). I disagree that you have to be good at something and think fast about it in order to think critically about it. Critical thinking is not a competition or a race. The author also mentioned an example of memorizing strings of digits and letters? Or, to be able to “keep track of a number of things at once”? I disagree this has to do with critical thinking either. Critical thinking does not mean having a high working memory capacity. I think critical thinking is simply, as its name suggests, being able to form conclusions based on criteria. For example, which hotel should I book for my upcoming trip? Someone thinking critically about it would establish the criteria that the decision should be based on (e.g. budget, location, reputation), and ensure that their final choice of hotel performs well with those criteria. An experienced travel agent would certainly be able to do it much faster and have more tools to access, but that doesn’t mean that the non-travel agents aren’t doing critical thinking, or that their critical thinking isn’t useful. Acquiring background knowledge about a specific domain is also a generic critical thinking skill. The more background knowledge one has, the deeper the criteria they can set for forming a conclusion. I may not be ready to analyze Mary Shelley’s Frankenstein on a deep level just yet, but I have the skills to do the research if I choose to. I still won’t come up with nearly the quality of analysis a literature professor would, but that doesn’t mean I’m not doing critical thinking, or that my critical thinking isn’t useful. Learning about new domains just for learning’s sake is a good enough reason for me to want to have generic critical thinking skills.